The Peoples Democratic Party, (PDP) Thursday said that any member of the party that agrees to serve in any committee set up by senator Ali Modu Sheriff is liable for anti party activity and would be held liable. Reacting to the inauguration of a congress committee for Edo election, the head of Publicity of the party, Prince Dayo Adeyeye said with his action, it is clear that Sheriff does not mean well for the party. 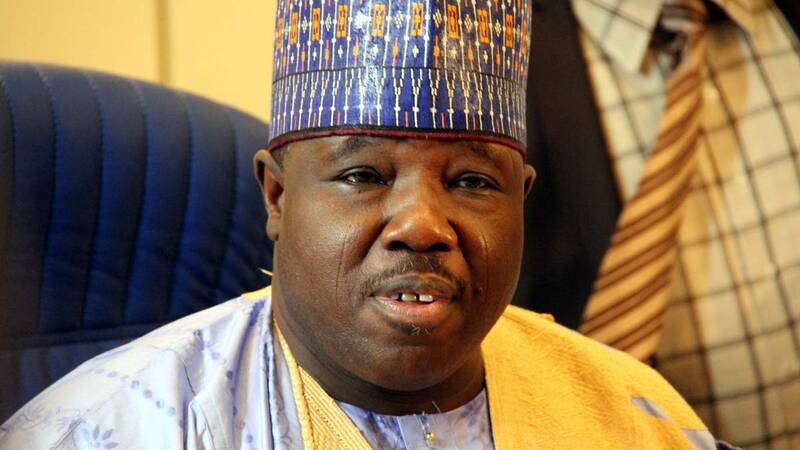 “It is now very clear that Ali Modu Sheriff is working very hard for the enemies of our great party. First the Edo primaries and all the processes leading to it were properly conducted , monitored and observed by INEC. Edo PDP chairman has warned Sheriff to stay clear of their affairs. The Party in the state is resolutely united behind Ize Iyamu the candidate. Anyone who serves in any committee set up by Sheriff will be engaging in anti party activity and will face disciplinary action” he said. He enjoined all members of the party to disregard Sheriff’s claim that the courts had reaffirm his leadership of the party. “As Sheriff did not display any Court order before the gentlemen of the press please disregard his claims and take it as one of fraudulent antics. Whatever he said today is the rantings of a sinking man trying to hold on to the last straw” he said. Senator Ali Modu Sheriff on Thursday had inaugurated a committee to conduct congress in Edo state for the forthcoming gubernatorial election, almost one week after Senator Ahmed Makarfi-led Caretaker committee of the PDP conducted a congress in Edo with the emergence a successful candidate. The inauguration of the committee which is headed by Senator Hope Uzodinma took place at Senator Sheriff’s private office in the Maitama Area of Abuja was attended by some of his loyalists including the former secretary, Professor Wale Oladipo, Dr Cairo Ojuogboh, Senator Buruji Kashamu and others. Senator Sheriff explained that he had stayed away from the national secretariat of the party because senator Ahmed Makarfi had imported Fulani herdsmen who attacked Professor Oladipo at the party secretariat some days ago.